Ontvangst audiobericht MP3 in automatische lading. Gelieve geduld te oefenen, bedankt. 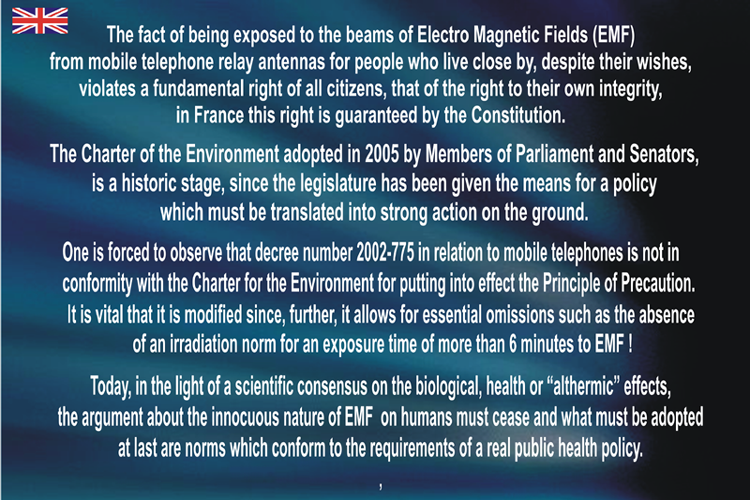 Without any initial reply related to the problem, we have to say that now an overdose of Electro Magnetic-Fields in our environment does exist, which is generated by the exponential developement of mobile telephony. Facing the facts, we call to duty of national health and Owe must act and inform people to come the debate to light. This is next-up organisation goal. - Give the next-up.org website adress to your friends and neighbours. - Write the website address in forum and send us reports and new ideas. 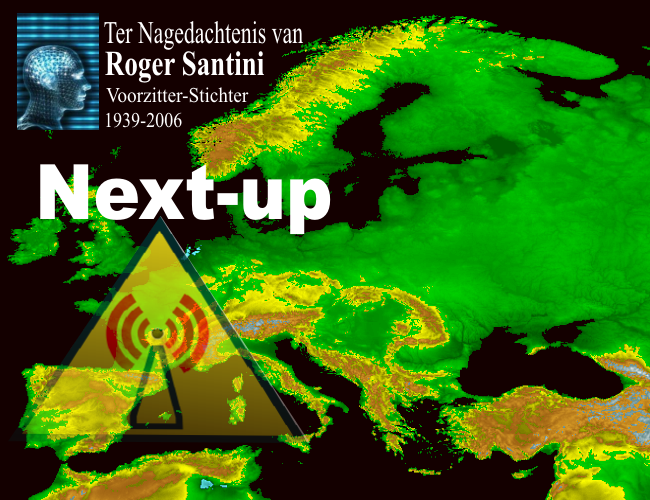 Roger SANTINI Dr ès-sciences, (1939-2006) Chairman of Next-up organisation. Serge C. SARGENTINI, Director of the Board of Directors. The Members of the Board of Directors.